Geometric object representing a piecewise cubic Bezier curve in 3D. Tell if the curve is closed. Find the parameter resU for the nearest point on curve to "point". 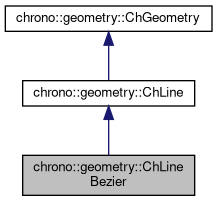 Draw into the current graph viewport of a ChFile_ps file. Get the class type as unique numerical ID (faster than using ChronoRTTI mechanism). Each inherited class must return an unique ID.